I am a Law Honours graduate from the University of Auckland (BA/LLB, Hons). Since admission to the Bar in 1999, I have been practising in refugee and immigration law (including citizenship), and human rights law(including family, civil, employment and criminal law). I am assisted by Simon Lamain (junior barrister) and Joseph Tressider (junior barrister) in my practice. Maithili Sreen (barrister) is currently on sabbatical. From 2008-2011, I was a senior legal consultant to a Geneva human rights organization, Al Karama (Dignity) which represents victims of grave human rights violations in the Arab region. I worked closely with the United Nations human rights protections mechanisms, regional human rights protection mechanisms and international organisations. I was co-counsel for the Algerian refugee Ahmed Zaoui, successfully representing him in the review of the first national security risk certificate issued in New Zealand from 2003- 2007. This was a landmark case which saw successful applications and appeals before the High Court, Court of Appeal and Supreme Court – with Rodney Harrison QC as lead counsel. Current convener of the Auckland District Law Society Refugee and Immigration Committee. 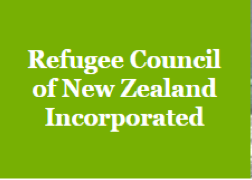 Executive Member of the Refugee Council of New Zealand. Executive Member of the Human Rights Foundation. Advisory Board Member of the Equal Justice Project, University of Auckland. Member of the New Zealand Law Society. Member of the Auckland Women’s Law Society. Member of the New Zealand Association for Migration and Investment. The internship is structured around the local university semester programme. The placement can be tailored to align with the Universityof Auckland Community Placement and / or LawGenrl 447 Community Law Project.